Originally, I wanted to do a few quick vignettes of some of the people in the cafe. I wasn’t quick enough. Before I could render one arm position, the person I was going to sketch next was gone. So I decided to focus on this woman as she changed the orientation of her arm. 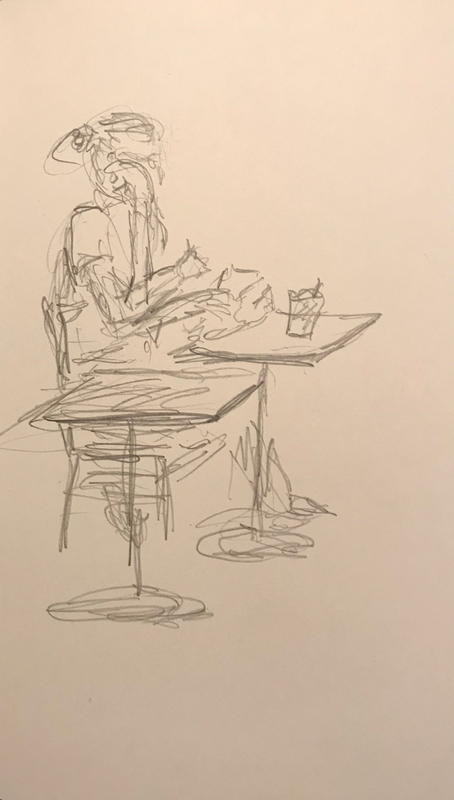 This entry was posted in Personal Stories and tagged art, artistic process, drawing, motion portrait, pencil sketch, portrait, quick sketch, sketch, vignette, visual art. Bookmark the permalink.